Your frog is fantastic! Love the use of colour. That frog is just too much! 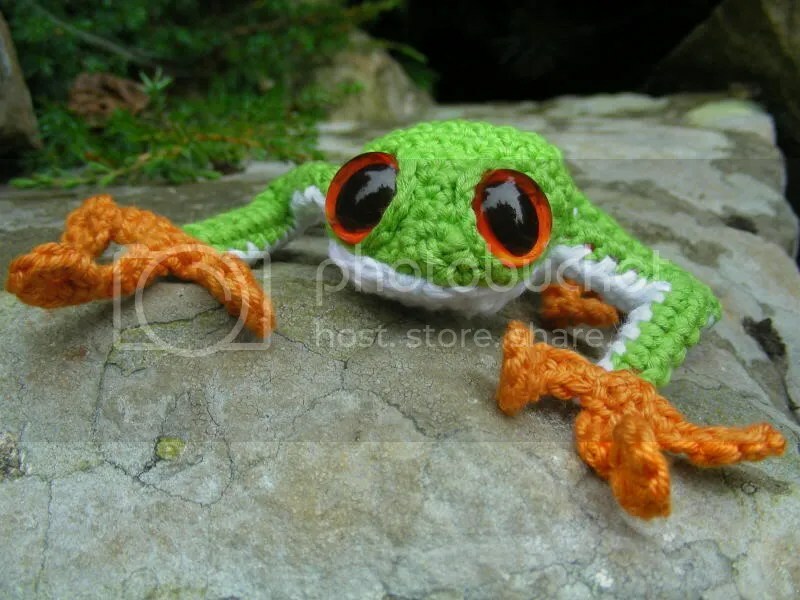 Mission accomplished Brie, this little frog definately made me smile 🙂 You are going to get people asking you to share the pattern for this one…. I adore him! Very cute!! Thanks for adding the froggy tutorial. I fell in love with him right away and hoped to find a pattern. I enjoyed browsing your blog and love your little fuzzy guys. I’ll have to add you to my favorites. Thanks so much for including a tutorial. I can’t wait to try it, along with your owl eyes. Too Cute! He’s so cuuuute! 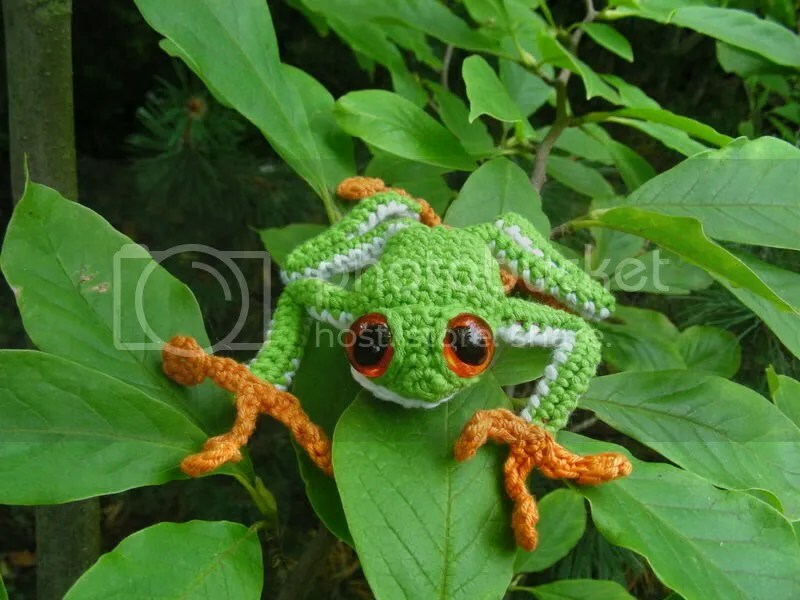 I bet he’d look great in all those fabulous tree frog colors…bright blues, maybe a tie-dye one? Fun! Thank you guys!!!!!!! I am so glad you like him!!!! I am thinking of one of those amazing blue posion dart frogs! He is too cute!! My daughter is going to love this for Christmas!